They are, and I suspect always will be, my favourite cookie. I’ve had my elementary school love-affair with Girl Scout samoas; been through a classic gingersnap phase when I was a teenager, and scarfed down my fair share of chocolate Hello Pandas in college, but chocolate chip cookies are the ones that I’ve always gone back too. But why suffer mass-manufactured boxed chocolate chippers when you can make your own? They taste so much nicer. And they will make your house smell oh-so-good. I’m going to be baking chocolate chip cookies three different ways, one of them the above, from Baked Bree. 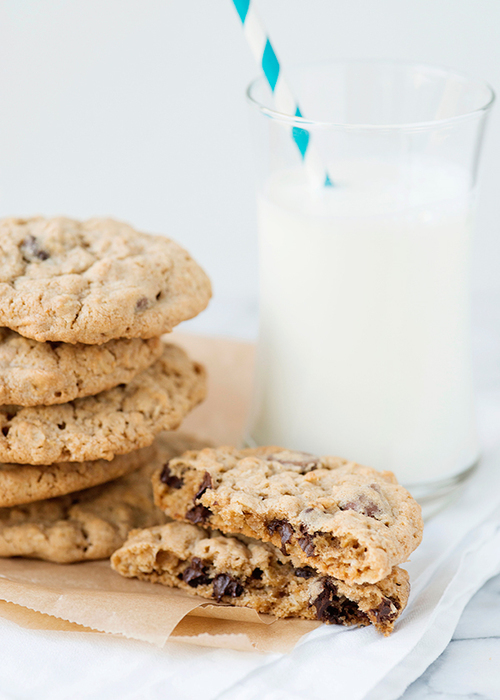 In the meantime, here is a wonderful post from Handle The Heat: the ultimate guide to chocolate chip cookies!! A must-read, it’s quite brilliant. cookies are my favorite dessert, and besides pumpkin pie, the go-to for every occasion. yes, you read right, i sometimes have pumpkin pie instead of birthday cake 🙂 happy birthday month — what is the day!? Love these cookies, they are definitely a first love!